Mr. Fitzpatrick attended Moravian College and graduated with a Bachelor’s Degree in Economics and Business in 1975 and entered the financial services field. 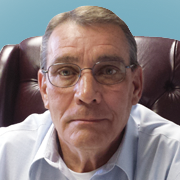 He has over 40 years of financial services experience. Mr. Fitzpatrick currently holds the Chartered Financial Consultant® (ChFC®), Chartered Life Underwriter® (CLU®), Certified Fund Specialist® (CFS®), and Chartered Advisor for Senior Living® (CASL®) designations. The ChFC® program is administered by the American College, Bryn Mawr, Pennsylvania. This designation has the same core curriculum as the CFP® designation, plus two or three additional elective courses that focus on various areas of personal financial planning. In addition to successful completion of an examination on areas of financial planning, including income tax, insurance, investment and estate planning, candidates are required to have a minimum of three (3) years experience in a financial industry position. The CLU® designation is a professional credential for persons involved in providing life insurance products to the public. To obtain the CLU® designation, applicants must pass 8 examinations and meet experience requirements and ethical standards. The CFS® designation was created in 1988. The designation requires the successful completion of three examinations, 2,000 hours of work experience, and continuing education requirements. The CASL® designation is issued by The American College. Individuals who hold this designation must complete 5 courses as assigned in the CASL® curriculum, have 3-5 years of relevant work experience or achieve the experience requirements for The American College’s CLU®, ChFC®, RHU®, REBC®, and CLF® designations. CASL® designees must also complete 15 hours of continuing education every 2 years.